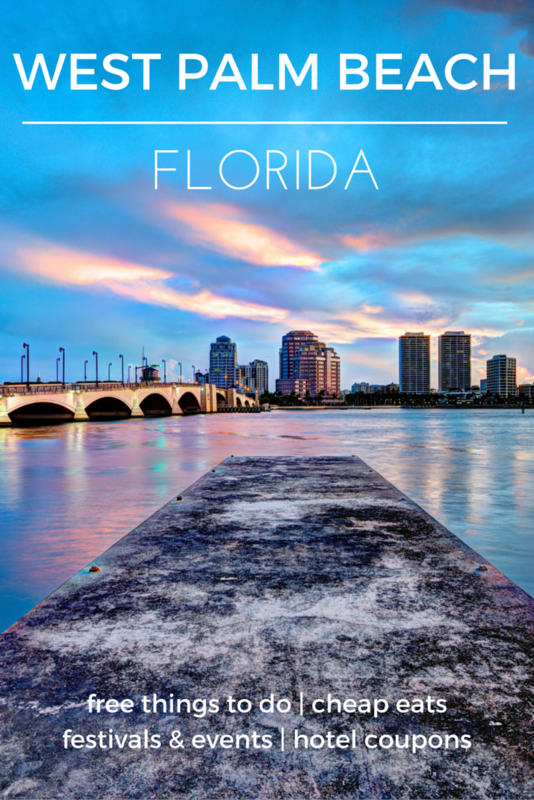 If you’re looking for palm-lined streets, beautiful beaches, and great things to do, then look no further than West Palm Beach, Florida. Whether you’re interested in sunny days or the trendy nights, the subdued elegance of West Palm Beach is sure to captivate you. Most of the beaches in Palm Beach County are free to enjoy. Relax on the soft sand, play in the waves, or walk along the surf. View a list of Palm Beach County beaches. Experience animal encounters, interactive exhibits, walking trails and more at Okeeheelee Nature Center. Visit Grassy Waters Reserve to find a taste of the Everglades in West Palm Beach. You’ll find more than 20 miles of hiking trails, plus have wildlife viewing opportunities including bald eagles, shore birds, alligators, and more. This free trolley service (operated by Molly’s Trolleys) runs on a scheduled route 7 days a week – for free! Visitors and locals alike enjoy this free transportation to shopping, dining and attraction areas. Tour the Palm Beach County Courthouse, which dates to 1916, and then visit the Johnson Palm Beach County History Museum. This museum focuses on sharing local history with visitors. This environmental education center featuring a nature center, ocean ecosystem exhibits, sea turtle rehabilitation, walking trails and more. The Loggerhead Marinelife Center is primarily a rehabilitation center and hospital for injured sea turtles. But, visitors can also explore an exhibit hall with aquariums, interactive displays and more.